The Jannayak Janta Party, which was launched last month after a split in the main opposition INLD, Thursday announced its youth leader Digvijay Singh Chautala will be the party's candidate for the Jind bypoll scheduled to be held on January 28. 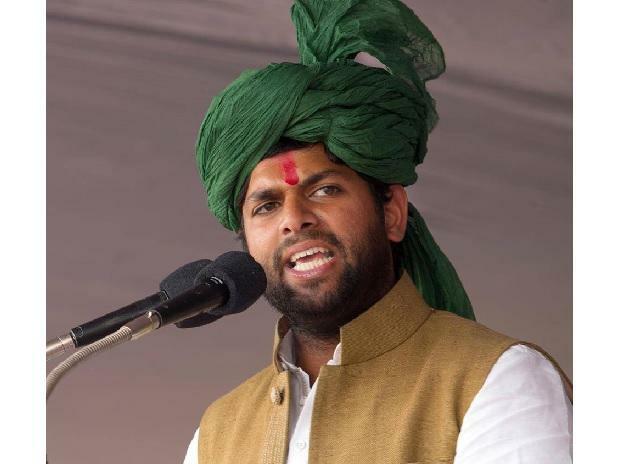 "After consulting all the members of the organization, the JJP has decided to field Digvijay Singh Chautala for the Jind bypoll," Hisar MP Dushyant Chautala told reporters. Digvijay is the younger brother of Dushyant Chautala. Both are the sons of Ajay Singh Chautala. Former Haryana chief minister Om Prakash Chautala's elder son Ajay Chautala-led group had launched a new outfit - the Jannayak Janta Party - following a split in the main opposition Indian National Lok Dal (INLD) last month. "This bypoll is not limited to Jind only. It will depict the whole (political) picture of the state," Dushyant said while exuding confidence that his fledgling party would register a win in this bypoll. Asked about his party's prospects in the wake of BJP fielding son oflate INLD MLA Hari Chand Middha in the Jind bypoll, Dushyant said, "Digvijay is a youth leader and the party will benefit from it. People will support youth in this bypoll. We have nominated the youngest candidate," he said. On Wednesday, the BJP had announced the name of Krishan Middha, the son of late INLD MLA Hari Chand Middha, as the party's candidate for the bypoll. Krishan Middha, whose father's demise in August had necessitated the bypoll, had recently joined the saffron party. The Congress has fielded Kaithal MLA and AICC in-charge of Communication Randeep Singh Surjewala for the bypoll. However, the INLD is yet to name its candidate. While the BJP will be eyeing a win on Jind to consolidate its position ahead of the state assembly polls, the opposition Congress, which has been attacking the ruling state government over its alleged failure on all fronts, will also look to grab a victory. Prestige will be at stake for the INLD, which will look to retain its seat. The JJP, on the other hand, will look to cause an upset, which will give it a boost ahead of the 2019 Lok Sabha and Vidhan Sabha polls.